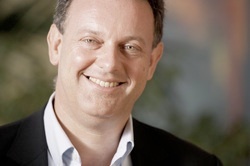 Flametree Technologies is owned and managed by Andrew Colin, one of the world’s leading experts in performance attribution. Frustrated with the limitations of existing systems, and following much discussion with banks, fund managers and consultants worldwide, he begin work on FIA in 2008. Andrew holds a PhD in Mathematics from the University of St Andrews, is a Fellow of the Institute of Mathematics and its Applications, and holds Chartered Mathematician accreditation. He was previously Adjunct Professor in the Faculty of Business at Queensland University of Technology, where his team researched risk in financial and engineering asset management, and is currently Adjunct Professor at the University of Tasmania. Andrew’s previous experience includes work in defence, academia, as a proprietary trader and as a bond fund manager. He has lectured on attribution topics to the world’s top fund managers and investment institutions, and has published widely on the field of performance measurement. Previously Head of Fixed Income Research at the Statpro Group plc, he is the author of Mastering Attribution in Finance (FT Publishing, 2015). Andrew's interests include bushwalking and classical music. This page was last modified on 24 May 2017, at 03:53.